When I was in my first year at university, every evening of the week was characterized by the different series I followed: Entourage, Chuck, White Collar, Californication, One Tree Hill (when it still involved Basketball), Psych, How I Met Your Mother, The Big Bang Theory and many more (including a few guilty pleasues) were a mainstay in my weekly routine. However, as I got older, my interest in TV shows waned and nowadays, the only two shows I follow regularly are the magnificent Sherlock and the brilliant “Game of Thrones”. But on August 23, when Peter Capaldi officially takes over the reigns as the Doctor, a new show will have firmly landed on my weekly schedule: “Doctor Who”. Since the final of the football World Cup last Sunday, I’ve finished almost three seasons of the BBC series and these are some of my impressions thus far. Christopher Eccleston and David Tennant are fantastic. Both of them bring different attitudes and characteristics to their titular character who has a history stretching back to 1963 and including 8 previous incarnations. Their charisma is palpable and their acting fantastic. A more in-depth looks at the different doctors and their stories (including Matt Smith whom I haven’t reached yet) can be found on uncanny.ch (Doctor Who for Dummies by Viola). There are a lot of filler episodes, but the good ones are absolutely brilliant. In both seasons, I found myself wanting to skip episodes or finding them somewhat unsatisfactory after finishing them. The story arcs spanning the whole season were interestingly done, full of hints and allusions that clear up in the season finales, but still felt somewhat weak and irrelevant. This in turn led to the presence of filler episodes. However, thanks to its unique blend of humor, action and drama, the strong episodes will stay with me for a very long time. When the show is at its best, you really feel that the whole world or at least a personal destiny is in grave danger. My favorite episodes include a visit to Renaissance age France (an era I adored growing up thanks to Alexandre Dumas), an epic Battle in modern-day London including two menacing alien races and a little visit to the Moon. It’s a great time capsule. The first thing I thought when watching the pilot episode “Rose” was: this looks old. But with every passing episodes, the production design improved and it’s great to see the evolution of time throughout the long-running show. Seeing Rose, the wonderful companion of both Doctor number 9 (Eccleston) and 10 (Tennant), use the Samsung flip-up phone I owned back then, definitely wrapped me in a blanket of nostalgia for a moment. Now I’m halfway through the third series (the British word for season) and I can’t see myself stopping again. I’m especially looking forward to the time Steven Moffat takes over as showrunner to see if the season-long arcs and connectors get stronger. It has been really quiet on this blog for quite a while and I’m sorry for my sudden and inexplicable silence. However, it isn’t as inexplicable as it seems as I’ve been really busy in the last two months since my last post. 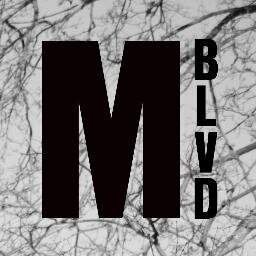 Mirage Boulevard (mirageboulevard.com) is the new website my friend Oliver Aeschimann (oaesch) and I started. It’s a German language online magazine focused on bringing you high quality reviews and articles on the world of movies, television and literature. Thanks to the help of our friends we have been able to push out content on a fairly regular basis. Please check it out! A few days ago, “An Elusive Hero” was able to celebrate its first birthday! I want to thank all visitors who have read my posts so far. This leads me to the announcement hinted at in the title: Thanks to the new project mentioned above and a wonderful new job in the world of online marketing, I’ve decided to narrow down the scope of this blog. In the future, I’ll focus on my fiction writing here and hope to bring you new chapters of “An Elusive Hero” on a regular basis in the near future. For that, I’ll be relaunching this blog in the next few months including updating the design and functionality of it all. Stay tuned! My normal commentary on pop culture and television will fully move to my YouTube Channel, where I hope to publish videos on a regular basis as summer and spring approaches. I haven’t thought about the future of my posts on Switzerland and Zurich in depth yet. Either they’ll make an occasional appearance here or maybe I’ll outsource them completely to another platform. Enter your email address to follow this blog and hear about new posts by e-mail!